The PM TS3 CP Test Station is an enclosure that protects circuits and terminals. ProMark’s CP Test Station is also used in telecommunications as a grounding box. 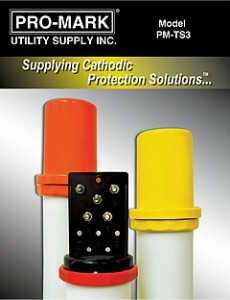 Test Stations are manufactured in the USA from high impact UV stabilized polycarbonate and have a lifetime warranty. PM TS3 Test Stations come standard with five stainless steel terminals and could be ordered with a High-Density Polyethylene conduit/support post. The PM TS3 is also available with a custom graphic as a Test Station Marker Post. ProMark PM TS3 CP Test Stations are in stock in all standard colors. * Custom Colors available upon request.